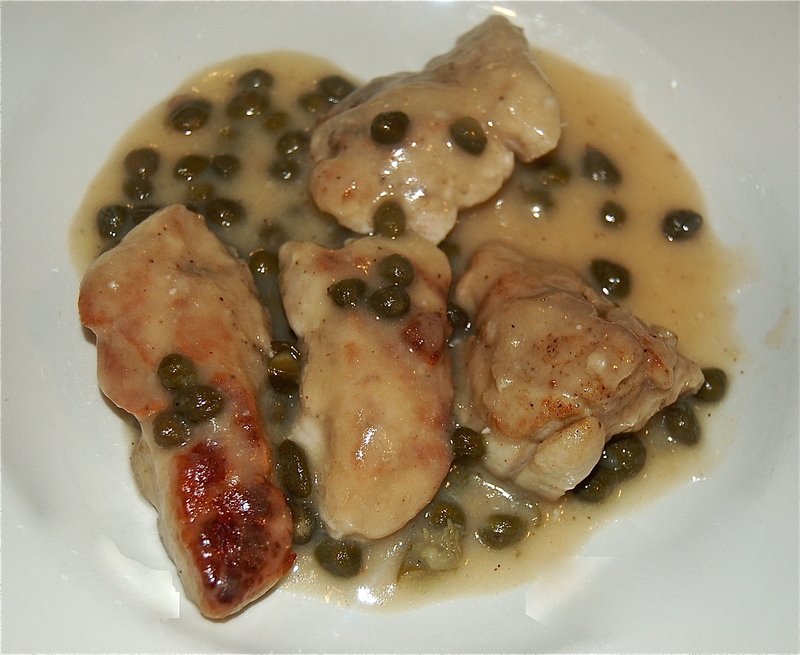 The week prior to July 14th, Cathie announced, “for my birthday week I want Sweetbreads”. Sweetbreads it shall be. and last evening they were! She was a happy person & I received kudos for a dinner well done, Not “well done”, she requires, her Sweetbreads “never well done”. 1. The day before cooking, place the Sweetbreads in a bowl or small container, cover them with Milk, and allow them to soak in the refrigerator overnight. Remove the sweetbreads, discarding the Milk, and trim any veins or dark bits. Rinse them well and set aside. 2. Place the Sweetbreads in a small pot, cover with water, and add a big pinch of salt and the juice of half a Lemon. Add the Sweetbreads, bring the water to a boil, and blanch them for about 5 minutes. Remove the sweetbreads and plunge them into an ice bath. 3. Line a small sheet pan with a kitchen towel and place the Sweetbreads on the towel in a single layer. Fold the towel over them to cover, place another sheet pan on top, and weigh it down – a heavy pot or a few cans of tomatoes work well. Place in the refrigerator for at least 3 hours. 4. If your Sweetbreads are large, slice them into medallions. season with lots of Salt and Pepper. 5. Melt the Clarified Butter in a heavy bottomed skillet and cook the Sweetbreads over medium heat until golden brown, about 1-1/2 minutes to a side. Do not overcook them. Place the browned Sweetbreads on a paper towel-lined plate and set aside, tenting loosely with foil to keep warm. Add the Capers to the sauce. 6. Plate and serve. Our side dish was Butternut Squash lightly mashed and combined with Maple Syrup, Butter and Heavy Cream.